In 2016, European Cities Marketing has once again demonstrated the most dynamic aspect of European tourism. 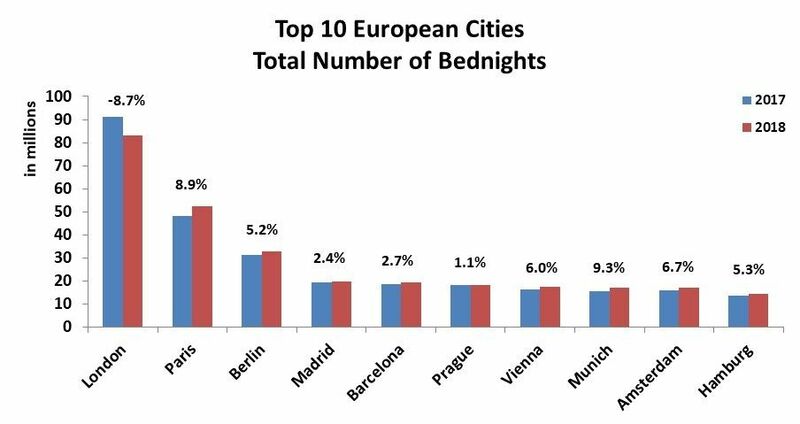 Over the last 5 years (2012‐2016), bednights in European Cities Marketing Benchmarking Report’s cities (+14.2%) have been still increasing at a faster rate than of the 28 EU nations (+8.8%). Thus, confirming once again that city tourism is growing against disturbances. 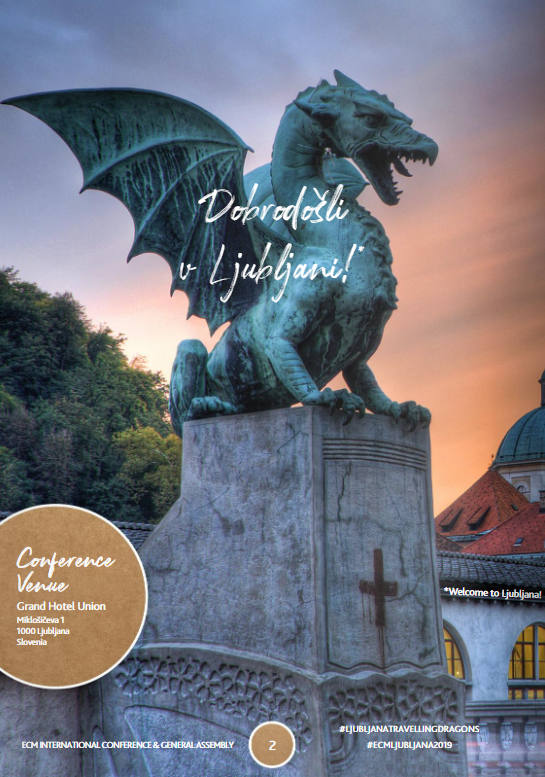 The report is published yearly and is the result of a cooperation between European Cities Marketing, the platform for convention, leisure and city marketing professionals to exchange knowledge, best practice and widen their networks to build new business, and MODUL University Vienna. The top 5 cities for 2016 looks the same as the previous year, besides Barcelona taking back its spot in the top 5 from Madrid. Remarkable is also that London was able to hold onto its spot as number one in bednights despite a negative growth rate (-3.2%), the second highest negative growth rate behind Paris (-8.2%), which also held onto its spot as number two in bednights. The city that has gone up the strongest is Barcelona (8.5%). with the highest growth rate out of the top 15 cities, followed by Amsterdam (7.3%) which jumped up two spots from the previous year. *Refer to cities with different definitions and data rectifications. Based on the latest forecast, European Cities Marketing expects a growth in total bednights of 6.4% in European Cities for 2017. This means the growth curve is expected to ascent at a faster pace, even more dynamic than the previous years. Dieter Hardt-Stremayr, European Cities Marketing President, says: “We saw another exceptionally successful year for city tourism in Europe, despite major challenges arising. The terrorist attacks in Europe, and particularly in Paris, show the volatility, importance and resilience of tourism. Overseas markets such as China or Japan are particularly sensitive towards perceived risk which resulted in negative performance in 2016. However, since the last quarter of 2016 city tourism in Europe is back on track: visitor numbers are strongly and steadily recovering for Paris as well as for source markets which were decreasing for years, such as Russia. City tourism in Europe in 2016 was “tossed by the waves but does not sink”. He concludes that European cities remain the most attractive tourism destinations for visitors from all over the world and showed resilience and courage against terrorism. Produced by MODUL University Vienna, the European Cities Marketing Benchmarking Report provides the #1 source of city tourism statistics in Europe. ECM reports twice a year about the current state of the tourism industry. In March, the organisation provides first preliminary results and trends about the previous year, in June the ECM Benchmarking Report is presented containing detailed analyses and benchmarks of the past 5 years, as well as the forecast for the current year. 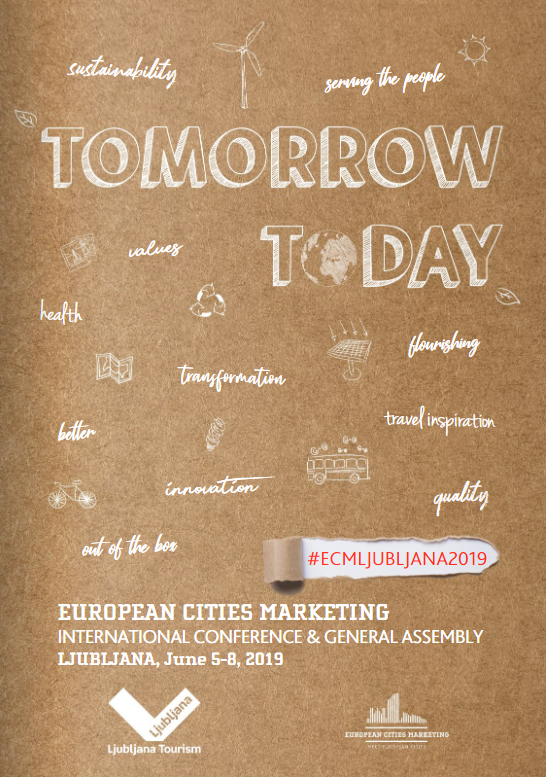 For the 13th edition, European Cities Marketing (ECM) presented the ECM Benchmarking Report 2017 during its International Conference in Dubrovnik. The report not only covers statistics portraying tourism development for 126 European cities but also forms the basis for discussing major trends and developments in Europe among the member cities. The 13th edition of the European Cities Marketing (ECM) Benchmarking Report provides benchmarking insight into bednights, bed capacities as well as city tourism vs. national tourism analysis and a breakdown of tourist densities comparing city’s population vs. bednights in 2016. The report costs €990 with the full dataset of figures, and is free for members of European Cities Marketing. The report can be ordered from http://www.cvent.com/d/45q8zc. To be up to date with these latest figures, please get in touch with European Cities Marketing and subscribe to the regular press releases.